Did you know that there are almost 34 million people in Morocco? That’s quite the population, and you can imagine there are many popular places of interest, too. Are you familiar with some of the cities of Morocco and the interesting things to do as you make your way around? Let’s take a look at 7 top rated tourist attractions in Morocco. For the first place of interest, you are going to be in Merzouga. Are you ready to be in awe as you lay eyes on the Merzouga Desert? Reviews claim that it is a bucket list type experience, and the pictures are in fact gorgeous. You can spend the night there, too, and some people report spending more than one night there. You only think that you’ve seen a starry night. Just wait until you check out this desert and all that it has to offer. Chefchaouen Old City is the next top ranked tourist attraction in Morocco. Reviews say that this beautiful city looks like it is straight out of a fairy tale. 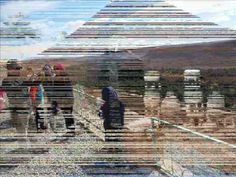 Experience the Main Square, the Rif Mountains and so much more. Chefchaouen Old Town is known as The Blue City. Next up is Medina of Fes, and it is of course located in Fes, Morocco. It is a great place for tourists to visit and experience Moroccan culture. You get to take a step back in time when you visit this market with narrow streets. Just wait until you see all the leather goods and more that you can buy as souvenirs. It is also important to mention that this top ranked attraction is a UNESCO World Monument. Now it is time to experience one of the best museums in Morocco. It is the Photography Museum of Marrakech. This is also a great way to get a good look at Moroccan culture and the way of life there. You will see a great collection of photographs, black and white photographs included. Be sure to make it out to the roof terrace. Enjoy a coffee and take a look at the grand view of the Atlas Mountains. The next place of interest just so happens to also be in Marrakech. It is Bahia Palace, and the architecture is extremely beautiful. See all the mosaics and tile work, check out the gardens and simply just enjoy your guided tour. Bahia Palace gets pretty busy later in the afternoon the reviews say, so you might want to get there early in the morning vs going later in the day. Mount Toubkal is another place you don’t want to miss. 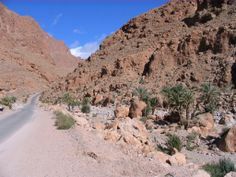 It is part of the High Atlas Mountains. In fact, it is the highest Atlas Mountain. Are you up for some climbing? Reviews say that it’s not necessarily that high, but, the climb is indeed challenging. One reviewer did talk about it taking about four hours to make the climb. If you don’t want to make the climb, it still sounds like a great place to stop by to get an update close and personal look at the Atlas Mountains and Mount Toubkal. There is one more top attraction in Morocco to cover, and it is Legzira Beach. This beach is located in Sidi Ifni, Morocco. That’s a wrap for the top ranked tourist attractions in Morocco. You have 7 adventures waiting for you, and they are going to be quite fun. Get ready to not just experience Morocco but learn about the people and the culture as you make a stop by these popular places of interest. Africa is known for its safari adventures for sure. Some are enjoyed in more luxurious fashion than others. You want to be comfortable, but you have to get out there in the wild to see the flora and fauna. Africa is quite a large continent, too, so there are quite a few different types of safari adventures waiting for you. What are five of the top luxury safaris in Africa? The first adventure is in Kenya. How would you like to experience a private plane safari? Did you know there was such a thing? It’s one thing to be on the ground enjoying a safari, but going up into the air means you get to see more. Plus, you would be in a private plane, and that certainly sounds luxurious. You are going to enjoy this private plane safari across Kenya. There are many places in Kenya to see, and this sounds like the best and most adventurous way to see as much as possible. Now it is time to head to Southern Africa for the next adventure. This safari adventure is a day trip. It is important to mention, too, that there are safaris in Africa that you can book that are for multiple days and multiple cities. You are going to be accompanied by an experienced guide and a great bush cook. The private reserve is known as Sabi Sands. Now let’s get you headed to Zambia on the way we will stop off with Wild Wings Safaris is your chance to see the Victoria Falls, and you get to check out a fantastic Victoria Falls Hotel. Once in Zambia you are going to experience Liuwa Plains National Park. This is one of those safari adventures where you are going to find plenty of picture opportunities as you get up close and personal with the wildlife. You will be staying at the King Lewanika Lodge. If you are traveling as a group, book ahead of time because the luxury villas there provide enough space for 15 guests. Aardvark Safaris is the company that you want to get in touch with in order to book this safari adventure. It’s back to South Africa we go, and this time you will be up for a safari adventure known as Cape Xtreme. As you might have guessed, it is located on the Garden Route, and you are going to experience the Cango Caves and, wait for it, Tsitsikamma National Park. What a name, right? You are also going to make your way to Bloukran’s Bridge and Jeffrey’s Bay. Just wait until you see all the wildlife and natural wonders. This safari adventure in Cape Town is one you certainly don’t want to miss. There is one more luxury safari adventure in Africa to look at, and it is going to be in Zimbabwe. The adventure is going to be at a riverside resort on the Zambezi River. It is supposed to be one awesome adventure, and it all takes place on a private reserve or wildlife concession. You are going to enjoy your private suite and sundown cruise. Those sound like some wonderful African safari adventures, don’t they? There are other luxury safaris all throughout be Africa, but these are five of the best. Luxury safaris are quite popular these days, so they are sprouting up everywhere. That last one mentioned just opened up in 2016, so you know those luxury suites are quite new. Have an adventurous vacation in Africa, and see how many safaris you can enjoy as you make your way around to see the wildlife. How many wonders of the world have you visited? There are different lists of them, some official and some unofficial. Have you seen the official list of the new wonders of the world? There are so many different places to visit around the globe that it would certainly take a lifetime to see them all. Are you ready to see this list 10 top must see wonders of the world? Taj Mahal is first up on the list, and it is located in Agra and Uttar Pradesh, India. Also known as the Crown of Palaces, Taj Mahal sits right along the Yamuna River. It is a white marble beauty, truly a bucket list experience. Next is Macchu Picchu, which is located in Peru. This 15th century Inca citadel draws tons of tourists. If you visit Macchu Picchu, it is best to book one of the many tours that are available. There are different types of tours so look at your options and see what sounds most exciting. Where are you headed to next? You are going to Mexico and the Yucatan Peninsula. The Chichen Itza ruins are a great way to experience Mayan culture, and this attraction is considered to be one of the new wonders of the world. It certainly looks like an interesting site to visit. Now it is time to visit China. There is so much to see and do in China. The attraction you want to visit there first is the Great Wall of China. Of course, it is 4,000 miles long, so you might not want to make the entire trek. Did you know that there is a list of the top natural wonders of the world, too? Next we are headed to Brazil. Do you know what the attraction is going to be? It is Christ the Redeemer in Rio de Janiero. Do you know how long the statue has been there? It has been there since 1931. You will get a good look at Christ the Redeemer and Corcovado Mountain. You need to see it at night, too. Now you are headed to the land down under, Australia. It is time to check out the Great Barrier Reef. It is said to be an underwater tropical paradise. It is also 1200 miles long, so you will have to pick a spot of course. It will be your only scuba diving experience on this list of the world’s top 10 wonders. Can you believe we are headed to the United States next? Located in Wyoming is Grand Prismatic Springs, which is part of Yellowstone National Park. You need to take a look at pictures of this wonder of the world to get a good idea of what you are going to see. The next place you want to visit is a big one, and it’s not suggested that you try to climb it. Have you been to Nepal? That is where Mount Everest is located, and it is certainly one of the world’s wonders. You will also enjoy the surrounding areas as you marvel at the mountain itself. There are two more wonders of the world to mention. What do you think they are? One is Igazu Falls, which is located on the border of Argentina and Brazil. What’s the last one? Pay a visit to the Galapagos Islands and experience all the wildlife there. I hope you have enjoyed this list of the top 10 wonders of the world. Happy travels to you, and see how many of these world wonders that you can visit in person as you continue your personal journey. If you have ever been to Africa before, and you have been to the northern portion, you will likely been to Morocco. It is located at the top northwest corner, adjacent to the Atlantic Ocean and the Mediterranean Sea. It is a country that has a rich history of architecture and culture. There are deserts there that many people like to visit including the Sahara desert. If you haven’t been there before, you might want to consider staying at one of the top seven luxury Desert Safari camps that are located in this country. 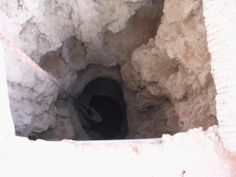 This is located in an ideal location where you will have quick access to the desert. You are surrounded on all sides by sand dunes, and you will be staying in upscale permanent tents. Once you arrive at the Marrakesh airport, it’s going to take about nine hours to get there. 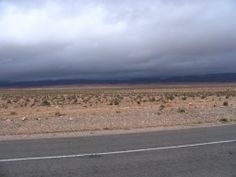 However, you will be in the midst of some of the most beautiful desert terrain that you have ever seen. If you would prefer to take a short trip, this particular one is very worthwhile. It has great reviews, and it only last two days from the desert safari camp that you will be staying at. 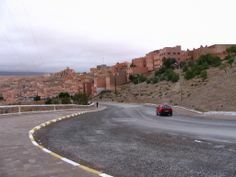 You will be close to the high Atlas mountains, and you will get to go through the UNESCO World Heritage site. For others, it is the camel ride that takes you through the tranquil Draa Valley. This is located adjacent to Moroccan deserts. You will not only get to see the beautiful terrain, but you will spend time on camels. The guides are going to take you to unique locations, ones that will look more like what you will see in postcards. There are several tours out of the area including the Desert Dream which takes you through the Dune of Tinfoi. 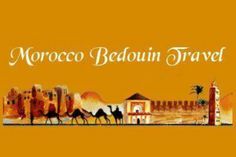 This is a great destination, one that you should consider staying at if you have a week or more to spend in Morocco. The four remaining ones that you should consider going on include the Merzouga luxury Desert Camp which is an award winner. Three other possibilities include those that take you from Fes to Marrakech, Marrakech South, and what they call a luxury Desert tour. This will give you the ability to stay in other cities other than Marrakech and Fez, for up to five nights. This will give you access to a multitude of different deserts that can be found throughout Morocco that are very popular today. If you only get to go to one place, however, you need to stay in Ouarzazate. It is this location in Morocco where most people gravitate to if they want to see the best sand dunes and desert landscapes. You will be able to stay in beautiful locations such as the Berber palace which is a five star hotel, and have all of the desert terrain just outside of the area. 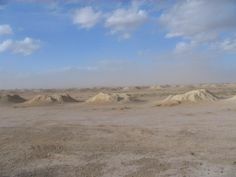 However, if you would prefer camps, the Erg Chigaga luxury desert camp is the one that most people recommend. 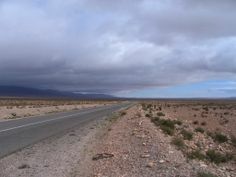 If you are a fan of desert terrain, and you have heard about Morocco, this is one trip that you really need to plan. This is a location that provides visitors with some of the best scenery in the world that is almost all completely desert terrain. Although some people prefer oceans, forests, or the savanna, the desert does have its appeal. If this is something you have wanted to do for years, you can choose from these seven top luxury African Safari camps in the desert and tours that will allow you to experience what the people in Morocco see every day of their life.